A toothache doesn’t necessarily mean you have a cavity. Got a pain in your mouth? Don’t assume the worst right away. Cavities aren’t the only things that can make your teeth hurt. 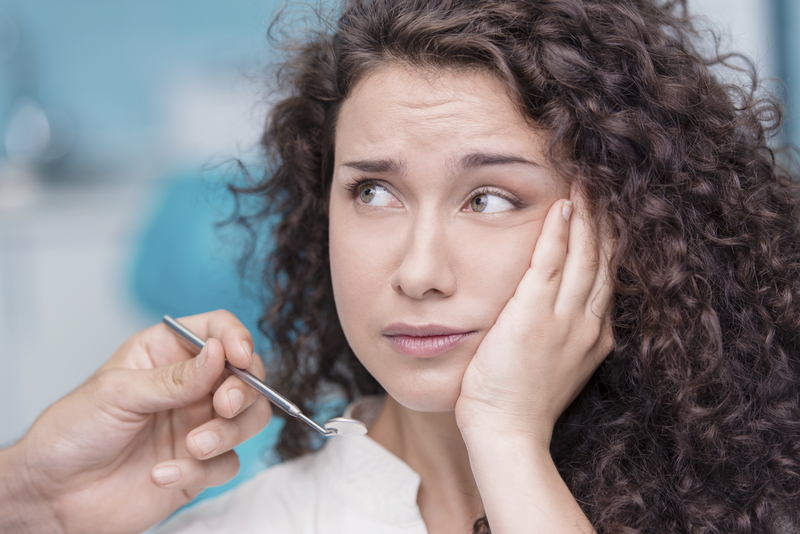 Check out these three common toothache causes – and what you can do to combat them. Tooth grinding. Also known as bruxism, tooth grinding can happen in your sleep when you may not be aware of your actions – you could be developing a bad habit without knowing it! Symptoms that may accompany grinding include headaches, unexplained facial pain, a sore jaw, neck aches and earaches. If you think you may be gnashing your teeth in the night, discuss it with your dentist. He or she may recommend a mouthguard or give you tips on how to minimize damage. Pressure changes. If you’re somewhere with different atmospheric pressure than you’re normally used to – an airplane, the mountains, scuba diving – and experience some tooth discomfort, it may be barodontalgia, or “flyer’s toothache.” Scientists and dentists aren’t completely sure what causes this phenomenon, but think it could be related to a number of things, including sinus pressure and gases trapped in teeth following certain dental treatments. If the pain subsides once you’re back to a normal altitude, you’re probably fine. If it persists, make a dental appointment. Whatever the cause, don’t forget to mention any type of toothache to your dentist. Even if you’ve self-diagnosed, your dentist may be able to provide additional insight into the cause, treatment and prevention of pain in the future. This is some great information, and I appreciate your point that grinding your teeth at night can be a cause of toothaches. Recently, I’ve been having fairly frequent toothaches, and I’m not sure what the problem is. My husband says he thinks I grind my teeth in my sleep, so I’ll definitely talk to my dentist about possible solutions. Thanks for the great post! We’re happy to hear that this blog was helpful to you, Olivia! I liked that you pointed out that grinding your teeth when you sleep can lead to toothaches. I have started to grind my teeth a bit more recently. Lately, I have noticed that I have been getting a few more toothaches. So, this is good to know. Wow that is great addition to my knowledge how sinus can be responsible for toothache.Quite a informative article.Great post.